Our little piece of paradise is situated in the South Pacific Ocean between New Zealand, Australia and New Caledonia, directly east of mainland Evans Head NSW and just 900km from Lord Howe Island. It’s a volcanic outcrop 8km long and 5km wide. Norfolk Island is well known for its native Norfolk Pines, other native flora and excellent fishing. The Island also has a very interesting history which encompasses three distinct settlements: early Polynesians, the colonisation by the British in 1788 as a convict settlement and later home to the descendants of the Bounty Mutineers from Pitcairn Island. Today it’s home to around 2,000 citizens with roughly equal numbers of Pitcairn descendants, Australians and New Zealanders. The climate on Norfolk Island is Sub Tropical with beautiful summer weather ranging from highs of 25-28ºC to lows of around 19-21ºC. Our mild winters are very inviting to those living in the southern areas of Australia and New Zealand with highs averaging around 19-21ºC most days, and lows around 12ºC degrees at night. Average rainfall is 1,328mm per year. Norfolk Island currency is the Australian Dollar. We have two banks – Commonwealth Bank and Westpac Bank – and an ATM situated in the Burnt Pine Shopping District just around the corner from The Tin Sheds. Travellers cheques and most credit cards are widely accepted. Visitors often comment that Norfolk Island is much more beautiful than it looks in photos. The untouched nature of the island with minimal pollution and a strong respect for the environment means that the air on the island is some of the cleanest air you’ll find in the world. With beautiful sandy beaches and stunning national parks the natural beauty of the island is breathtaking. The island’s slow pace makes it ideal for a relaxing holiday and its isolation means it’s easy to disconnect from the world, if you so choose. 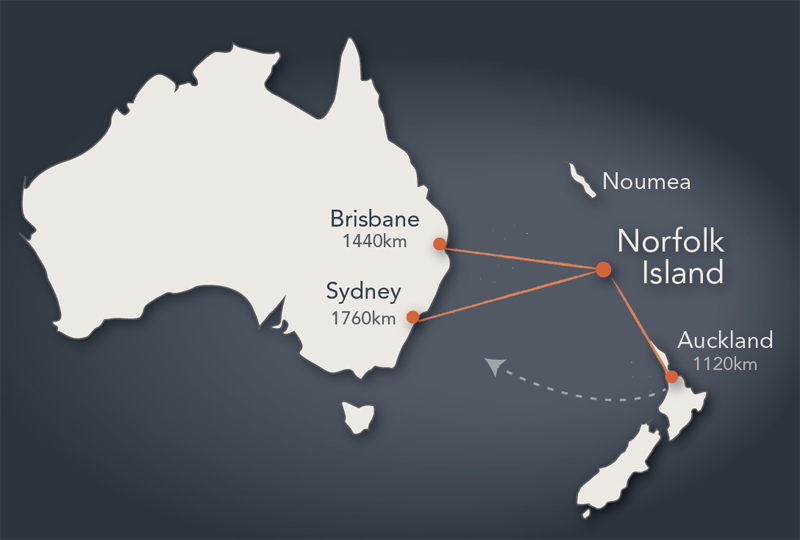 For more information on Norfolk Island please refer to the Norfolk Island Tourism website. To book flights: Click here to visit the Air New Zealand website or contact us to arrange your flights for you.